The meeting culture that is dominating business lately is unsustainable and unproductive. Ineffective meetings are becoming an increasing hidden cost to organisations in addition to lowering employee morale and affecting work-life balance. Meetings fill an increasing number of hours in the workday, and yet most employees consider them as a waste of time. In some recent surveys, meetings rank as the number one office productivity killer. There are ways to run effective, efficient meetings that leave people feeling energised and excited about the work that needs to be done. Effective meetings are characterised by having structure and focus, and all you need to know is what works and what doesn’t. In this programme you will learn what works. Successfully prepare for any type of meeting. Improve the productivity, engagement and creativity of day-to-day meetings. Clearly define a meeting’s agenda, timing, structure and objectives. Effectively allocate and manage roles and responsibilities for every type of meeting. 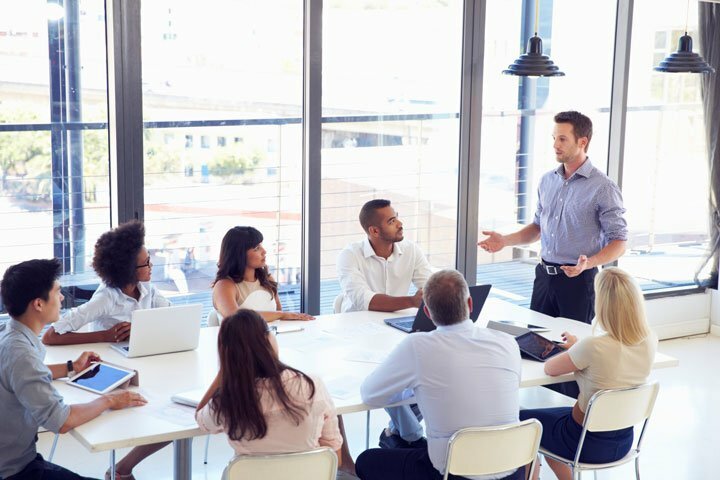 Best practices to keep the meeting focused, on track and on time. Proven ways to deal with hijackers, bloviators and other potential derailers. Guidance on how to elaborate a professional summary and followup strategy.